The basic rule of training is to train what you aim for. Interval training with an intensity close to your maximal oxygen consumption (VO2 max) is the most secure way to improve your VO2 max. The closer the intensity is to 100% of VO2max, the better training you get. This means you have to train less time to improve your performance. 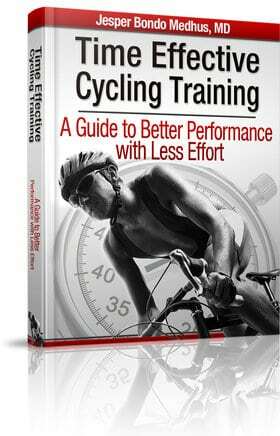 If all your intervals are done at an intensity around e.g. 80% VO2 max, you still get stimuli to increase your VO2max but it takes a lot more work (time) to make significant improvements. Elite and pro riders need training at (or very close to) VO2max to keep further progress. Thus, VO2 intervals are always included in the training programs I design for top athletes and I will also strongly recommend them to any ambitious athlete who wants to continue their progress. Unfortunately training at this intensity is very, very tough, so we split it up in shorter intervals. I have already shown you some examples of how to do VO2 max intervals, but there are also other ways to train this physical skill. Participating in road races or criteriums is not as specific as interval training, but still it gives you a great training. Often it is more motivating to ride a criterium instead of doing strictly paced intervals using a power meter as your training partner. Do I really need to improve my VO2max? Yes, you can’t increase your VO2 max enough. Having a large aerobic engine is crucial in road cycling. In road cycling you spend most of the time on a lower percentage of your VO2 max, but in the decisive moments it is guaranteed that you perform close to your VO2max. It is also important to remember that your performance at lower intensities always is close related to what your maximum is. Thus, when you get a larger VO2 max, you will feel more comfortable at lower intensities and it’s easier for you to accelerate at the final moments of the race. I like to use the term aerobic engine, because you can think of VO2 max as the size of a car’s engine. If the engine gets bigger, it’s clear you can drive faster, but it the car also feels better and more comfortable at lower speeds. Are VO2 Max intervals a part of your current training program? Yes. Now I do 2 interval training per week. I’ve started in March. And we have a first race at the end of April. By the way. I have a question about vo2max. You can do a 5min allout test and notice how many watts you can perform. Repeat the test 8weeks later to keep track of improvements. But how to measure it only with polar? Is it possible? If you don’t have power sensor it is not possible to do the test as I recommend it. The second best option could be a hill climb test where you see how far you can ride in 5minutes. So how many of these sessions are done a week? i imagine they can be very taxing! and is it best done in late build/peak periods? Thanks for the article Jesper! Very insightful. A couple of weeks ago, I was asked to participate in a Vo2 max and Lactate Threshold test by a small group of undergraduate student researchers at San Diego State University (SDSU). It sounded like a great opportunity for me further my investigation, and because it was free, I couldn’t say no… Here’s what I learned..
I’m so confused. I thought V02 Max was not trainable. You’re born with what you’re born with. My understanding is that you lactate threshold (the percentage of your V02 Max you can sustain) is very trainable. Your maximum heart rate can’t be trained. Your VO2 max can easily be trained. 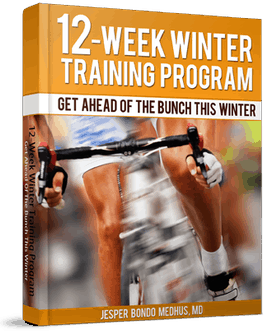 Untrained people will discover 30% VO2 max increments within the first couple of months. If I am doing 2×30 At Threshold twice week when would I have time to do Vo2Max ive been doing 2×30 for 3 1/2 weeks now…I tend to start late on purpose so I peak later. Do I remove one of the for the Vo2Max and do I still try to ride 30 or 40 miles as I am doing them like 20 min warm up a few mashes and high cadence then begin the Vo2 max and then when I am done finish my ride easy sping?